Who would have known a bake-off would be the beginning of a beautiful relationship? No way were we going to convince him. Until we decided to resort to bribery. We would learn the hard way…and it would cost us a major wad of money. Our nightly stroll turned ugly really quickly. Oh, great. And I had another 59 minutes with this bundle of joy. He held up a shriveled beige sponge. I didn’t want to know where the beige came from. All eyes turned toward me as I nodded. It was all I could think of doing–just nod till you think of a reason. Good reason, stupid reason. Anything would do. When they told me I had to wear a shirt to school, well, that was it for formal education. We saw no reason why he poured that stuff in the tank, but it seemed to work. The 80’s came and went, but left this guy on our doorstep. I was hoping he would say that. “Yes, it is my fault. But I can’t undo this..
Just think of how many plot twists some of your favorite board games provide. I attended my first board game creation class last night. It offers a different way of looking at making something from scratch. 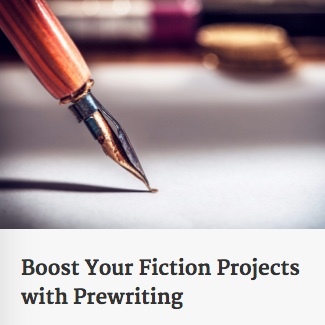 And I realized there is considerable crossover between this process and fiction writing. I also thought of ways to incorporate game creation into my middle grade novel. I think I’ll have the teacher ask kids to write a story and, as they’re writing it, thinking of ways to turn it into a board game. The teacher will hope that it will amp up her writers’ visualization skills and add interesting plot twists and memorable characters with engaging personalities. I then decided I should try this same approach for my own fiction projects. How would my current story play out in game format? Would my game/story not only provide characters with clear goals, but enough obstacles to make people want to keep playing/reading? Okay, thanks for reading. I’m always interested to hear if some of these ideas resonate with you. Ready! Pen in hand? Go! This was more than a school prank. Let’s just say his romantic plan completely unraveled.